We all know how important it is to minimize our risk of skin cancer by protecting our skin from the sun’s harmful UV rays. The delicate skin of babies and infants need special care to avoid early skin damage from the sun. Traditional sunscreen formulas for babies and children contain many of the same questionable effective ingredients as sunscreen marketed for adults. These chemical sunscreens (ingredients such as oxybenzone, octinoxate, and many others) are not considered as safe for the skin mineral sunscreens like zinc oxide and titanium dioxide. Chemical sunscreens can be absorbed by the body through the skin, whereas mineral sunscreens form a physical barrier from the sun and remain external on the body. The Environmental Working Group (EWG) has been working diligently the last several years to independently test sunscreens for safety and effectiveness. Their recent sunscreen safety results indicate that "3 of 5 brand-name sunscreens either don’t protect skin from sun damage or contain hazardous chemicals — or both." Be sure to choose a safe and effective sunscreen for your baby this summer from the recommended baby sunscreens below. 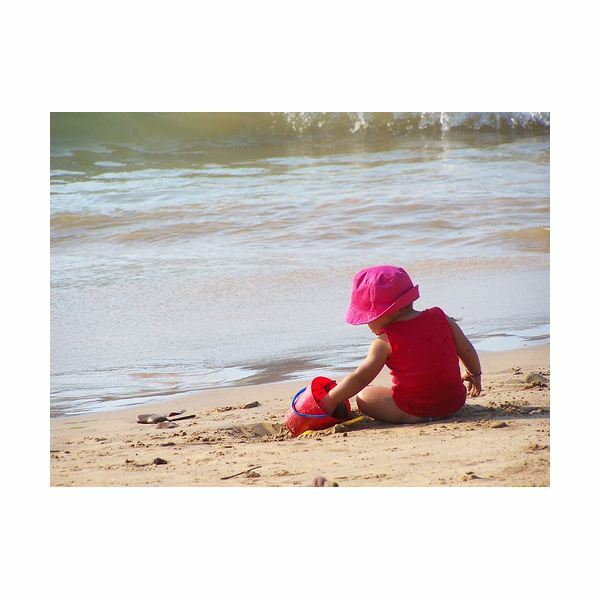 The EWG recently updated their recommendations for the top safe baby sunscreens for 2010. Based on their research and evaluation, the number one recommended sunscreen for babies California Baby Sunscreen Lotion No Fragrance SPF 30+. The sunscreen may be ordered here at California Baby’s website. California Baby’s sunblock stick SPF 30+ also rates high on the list this year. UV Natural Baby Sunscreen SPF 30+ rates second on the 2010 EWG safe sunscreen list. UV Natural sunscreens repeatedly appear on the "safe" list and can be ordered at uvnaturalsunscreenstore.com. Other top recommendations for babies and infants include thinkbaby and thinksport sunscreen SPF 30+ and Mustela Sun Lotion Bebe High Protection SPF 50. All of the EWG’s top rated sunscreens contain zinc oxide as the main effective ingredient. Zinc sunscreens often make the skin look white and pasty, so many natural sunscreens use nano-sized particles of zinc oxide to improve the way the sunscreen appears on the skin. Current research on nanoparticles of zinc oxide suggest the particles are not absorbed by the body. The EWG states that while it is concerned about potential effects of nanoparticles, for now they recommend the sunscreens as a safe way to avoid harmful UVA and UVB rays from the sun. For more information on nanoparticles in sunscreen, see Nanotechnology & Sunscreens on the EWG website.